Between MIT and Harvard University, just off the river, is Cambridgeport. For those who live here, it is a lovely neighborhood. It’s in the city, but still has the feel of a smaller place – safe and walkable, with grocery stores, coffee shops, and drug stores all within walking distance. 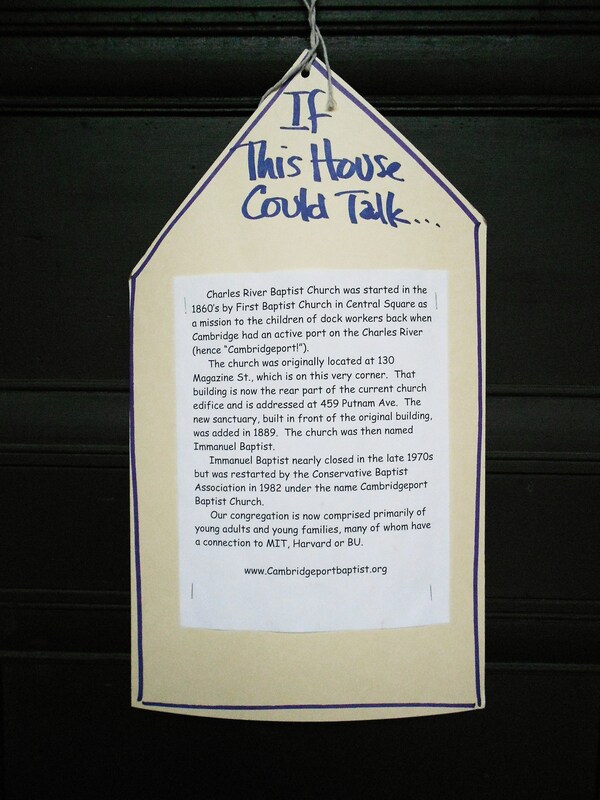 Yearly, Cambridgeport puts on a program called “If This House Could Talk“. The program takes people on a walk through the neighborhood, where various houses, parks, restaurants, churches and a few other places are selected, a short history written on them. It is a great way to walk the neighborhood and learn more about the past, even while becoming more familiar with the present. As we walked part of the neighborhood this weekend, we learned that the Kennedy Biscuit Factory a few blocks away was creator of the well-known American cookie – the Fig Newton. We found out that the church on the corner near our house began in 1960 as a mission to children of dock workers who worked on the Charles River and almost shut it’s doors in 1970. Walking down Magazine toward Central Square we passed our favorite neighborhood restaurant that serves up gyros and pizza with a strong side dish of opinion. 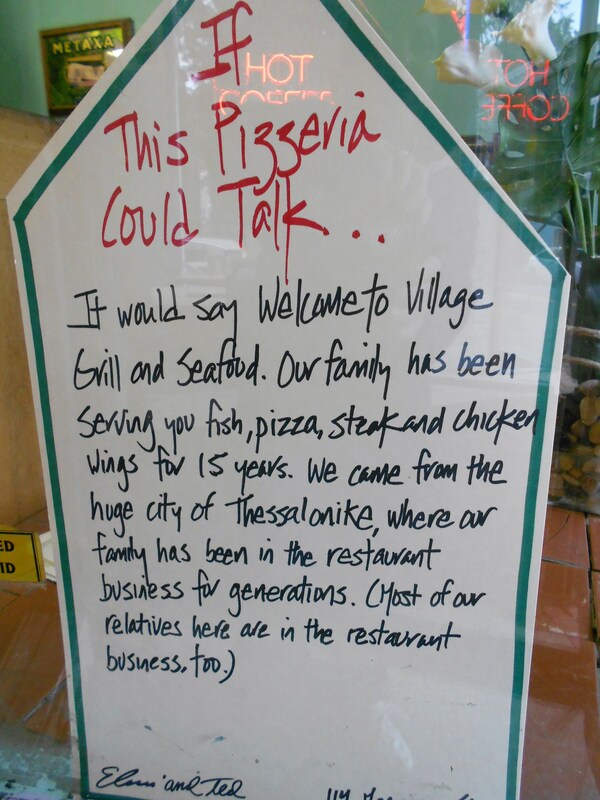 The owner, Theo, came from Thessaloniki and treats us to family recipes with a Cambridge diner twist. 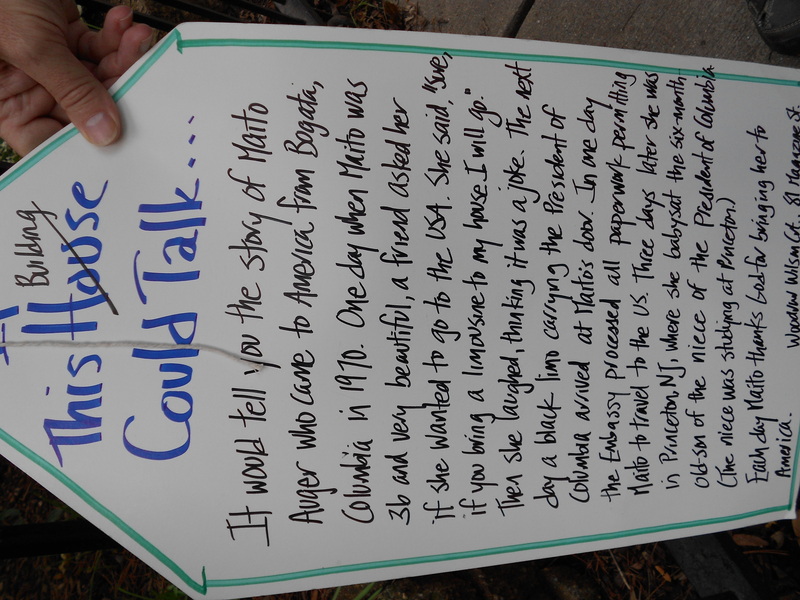 An apartment building up the street has several interesting stories. One story is told of an immigrant from Colombia, Maito Auger. As a beautiful 36 year-old, she was asked by a friend one day if she would like to go to America. She laughed and said “Yes, if you bring a limousine to my house I will go!” Read the rest of the story below! The building Maito lives in is called Woodrow Wilson Court and is a collection of nine different buildings. It is named in honor of President Woodrow Wilson, partly because during his presidency the 19th Amendment, giving women the right to vote, was passed. Another story coming out of this set of buildings is the one below, which will still remain a mystery. Any one want a plot for a novel? 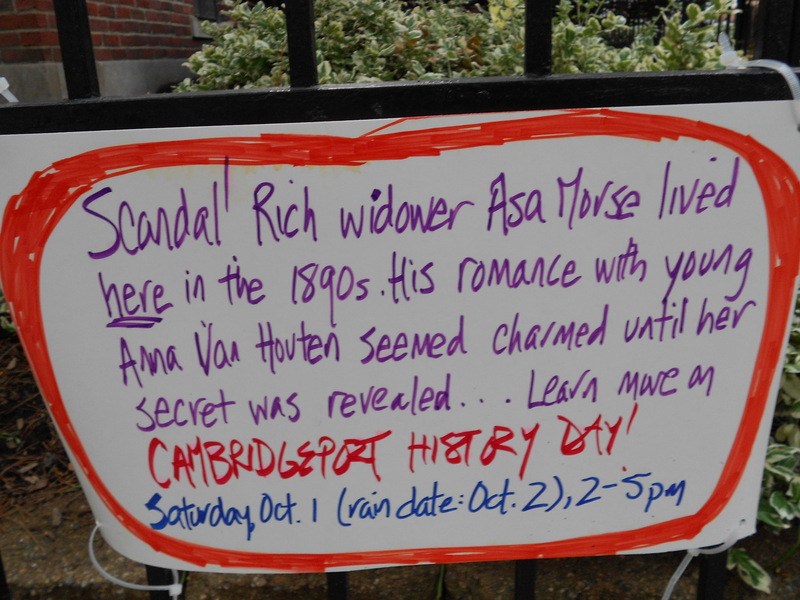 This scandal may be just the inspiration that you need. On Cottage street, one of my favorite streets in Cambridgeport, largely because of the number of cute “cottage” type houses, we passed by several houses with varying histories. The one that caught our eye was the one that informed us that Ben & Casey Affleck had grown up next door, and rumor has it that their mom still lives there. Heading a few blocks to the right, we made our way back home down a street called Pearl. At Speridakis Terrace we stopped and heard what the street would tell us if it could talk! “A 1913 teenager sent to the Industrial Home for boys after a tea shop heist, a spirited 1929 bride who changed her mind on her wedding day” and more! 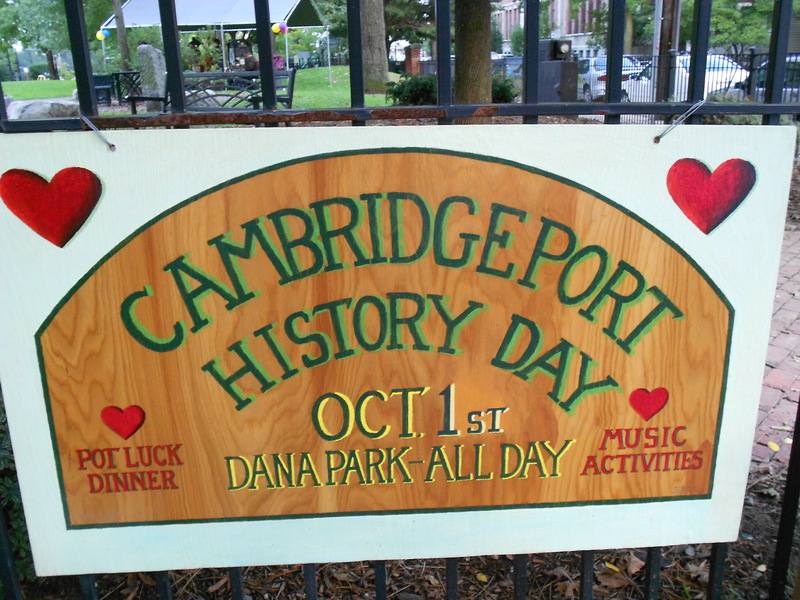 This street was named for a Cambridge native who died in combat during World War II. 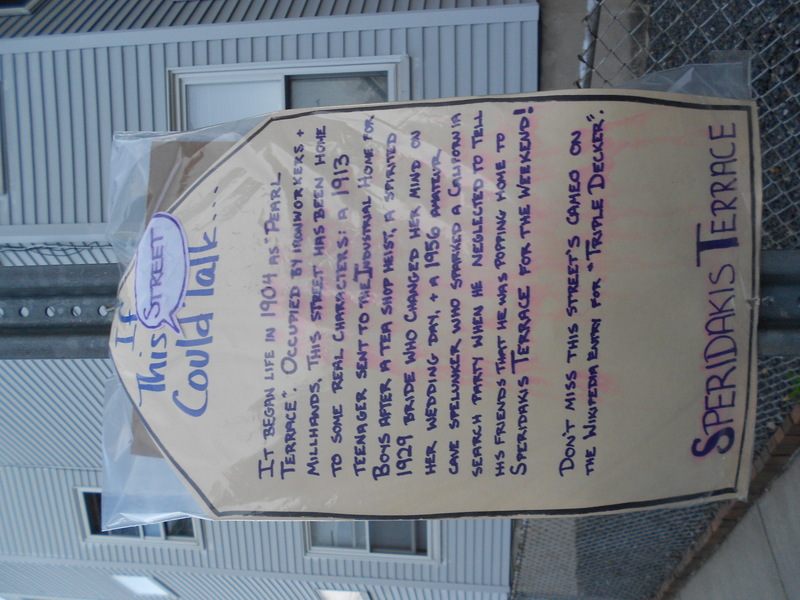 We learned that Sylvia Plath’s counselor lived a couple of houses around the corner from us. We learned that Model T’s were made in a beautiful building across from the Charles River. And we only saw half of what there is to see. 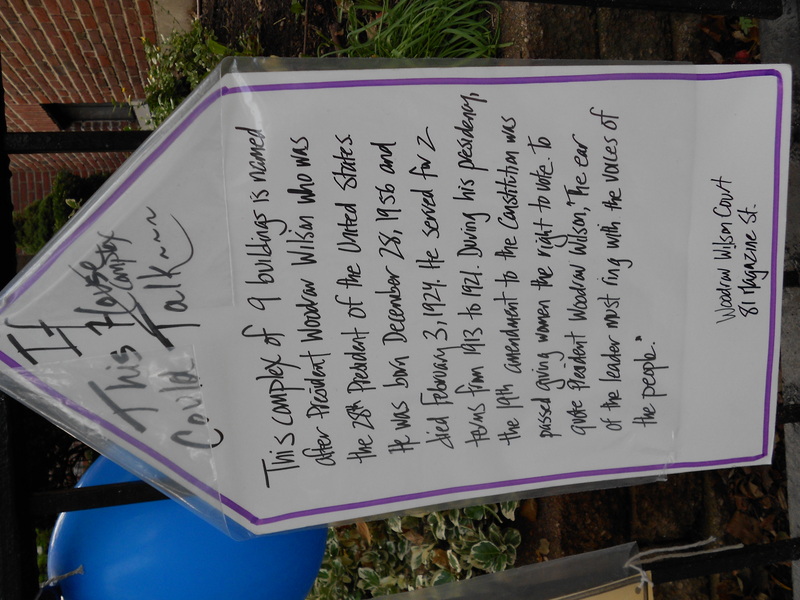 It was a creative way to link past to present and create an appreciation for the neighborhood and the history that precedes us. 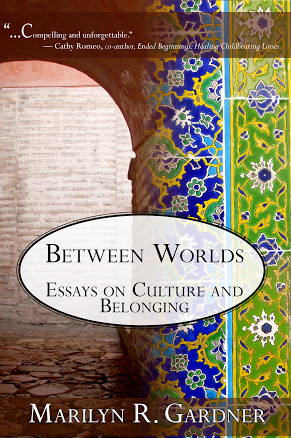 It also helped to draw us to a greater sense of belonging, a reminder that we are part of something and not on our own. 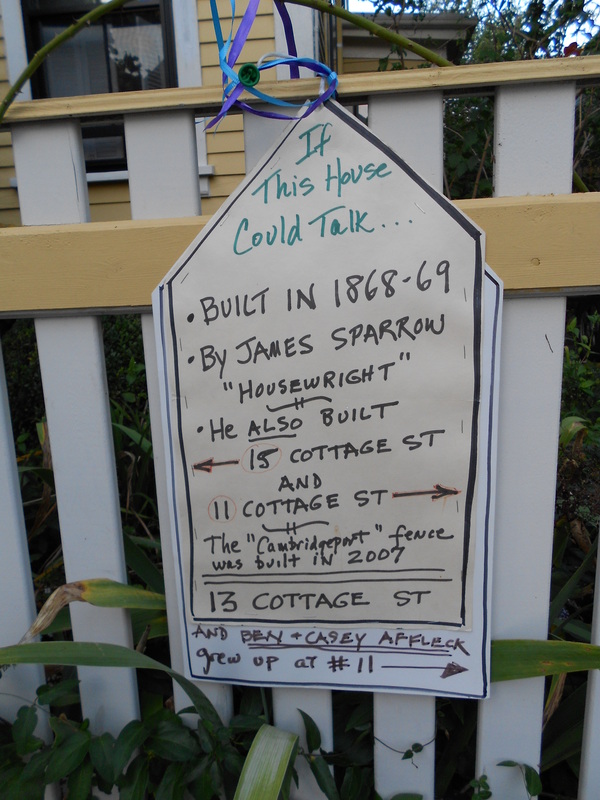 So, if your house could talk what would it say? What is the hidden history behind your street or your favorite restaurant? Whether you live in a historical or newer neighborhood, someone came before you and if our houses and streets could talk, they would tell us that life was lived with all it’s challenges, joys, complexities, scandals and tragedies. < Previous Sorry Folks! Red-Headed Designer Babies Are Off the Menu! I love the concept – now I’m thinking “If Eight-Acre Woods could talk…” Or that old Baker Hospital Building in Larkana! 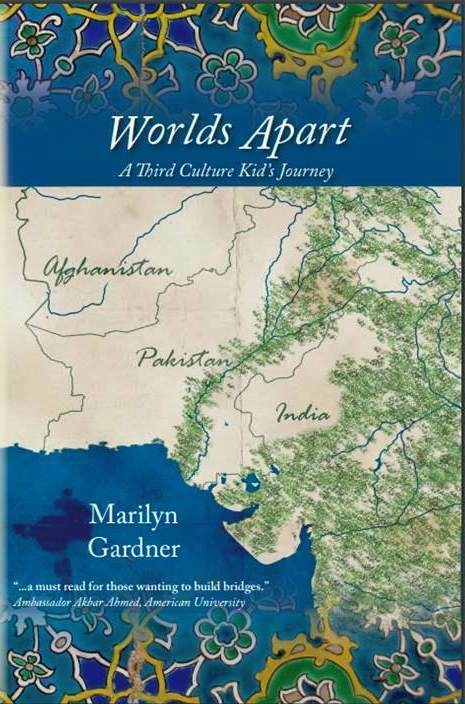 And weren’t a couple of those houses in Shikarpur former Hindu Marriage Halls? thanks, Marilyn. The pictures are superb! Your photography? How neat! Wish our hometown would do something like this. A great and creative way to link the present to the past. Thanks.